Design and the construction of 37 two and three storey dwellings, is set on a brand new leafy estate with red brick and cedar boarding exteriors and light and airy living spaces. 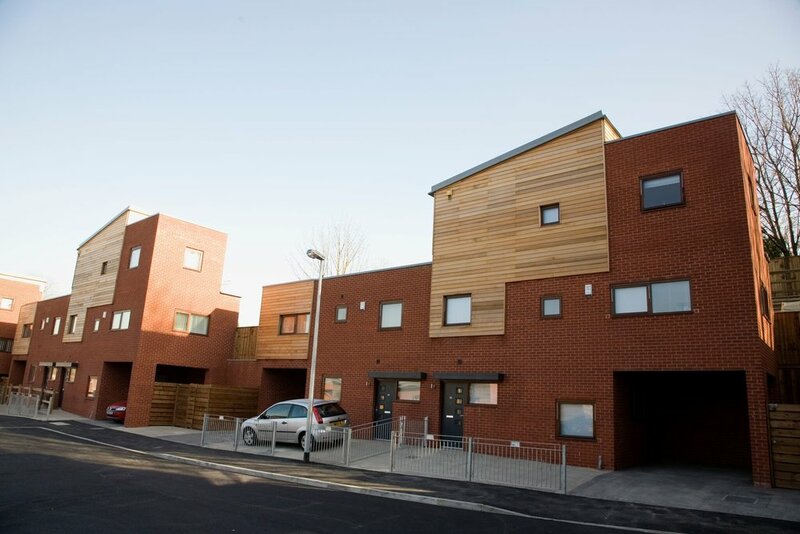 The three storey town houses have second floor living rooms and balconies with views across the city. 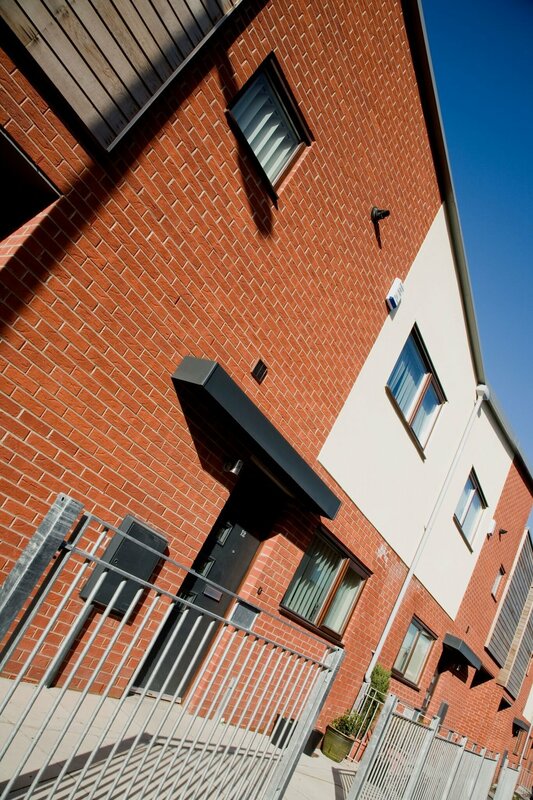 The homes available were for shared ownership and full out right sale.